Fit-out of this 300 sq. 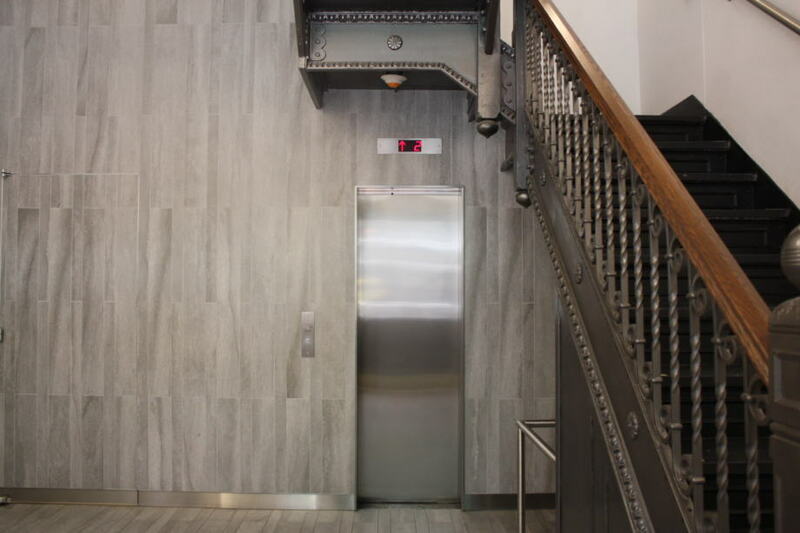 ft. retail space lobby (located in a 1905 nine-story building in Soho) involved the installation of Venetian tile walls and floors, new LED lighting and a three-ton HVAC unit. Purchasing and procurement were conducted during the pre-construction phase before Eastman Cooke crews began demolition. 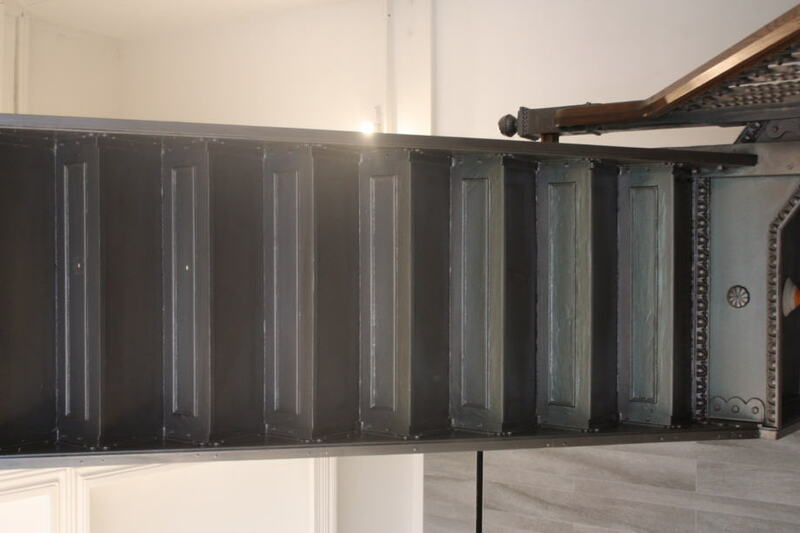 Much like our previous Greystone project, we were tasked with combining “a little old with a little new,” restoring and repainting the lobby’s original cast iron staircase. Stainless steel finishes were applied to the base and railings. We also repositioned a podium, resulting in a more spacious look. In addition, crews repainted the outside of the building, putting a fresh face on a landmark Manhattan structure. 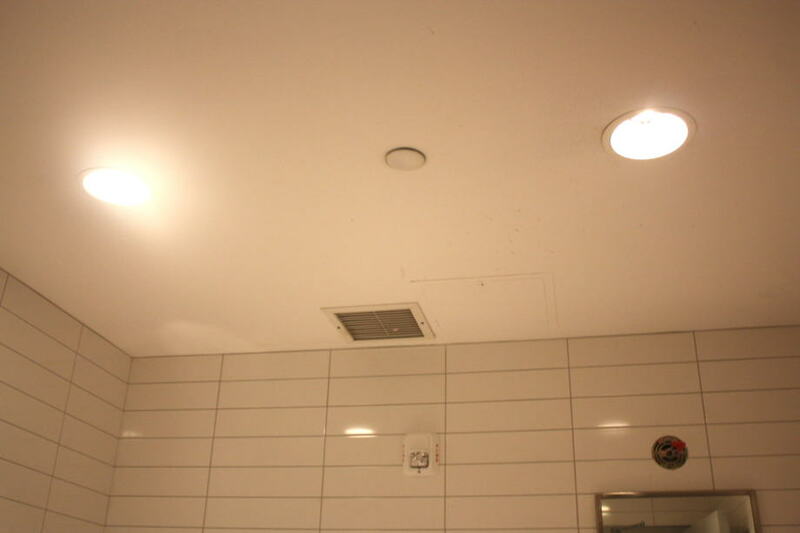 Effective collaboration with engineers and other crew members helped to ensure minimal disruption to the building’s occupants and daily operations. 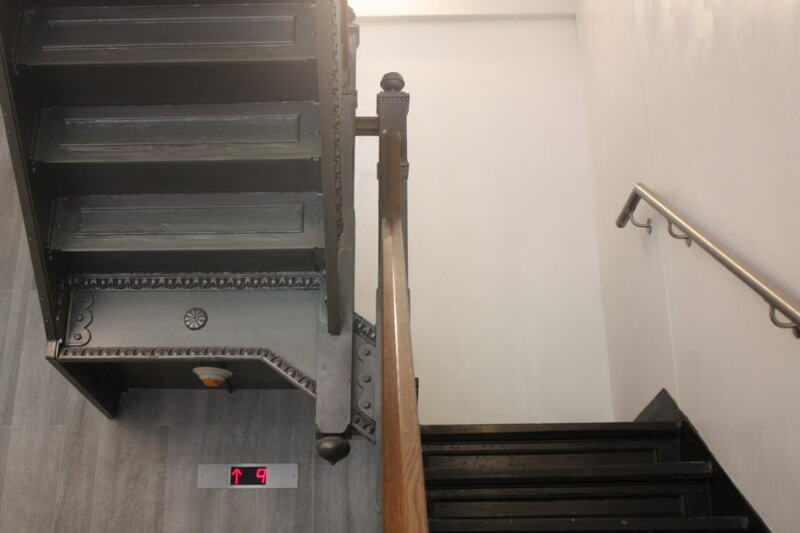 The successful initiative led to a follow-up cellar fit-out and egress stairs project, described below. This 5,000 sq. 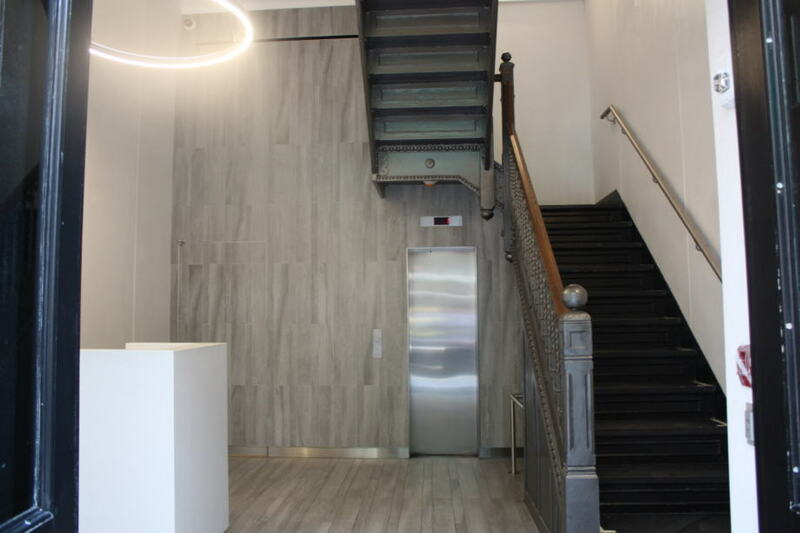 ft. cellar fit-out and egress stairs project included demolition and replacement of stairways to facilitate two forms of egress from the cellar to the first floor of this new retail space. 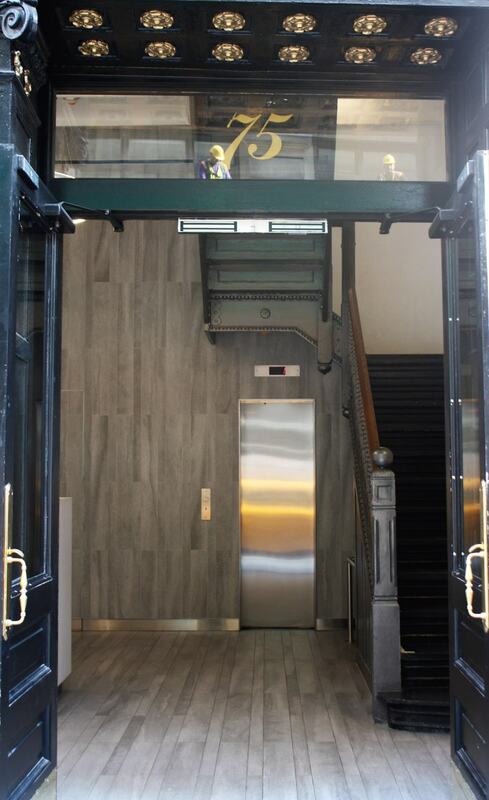 A hidden door was even built within the lobby’s wall tiles to ensure a safe and stylish exit route. Project also entailed a cellar demise to create a storeroom and future tenant space. 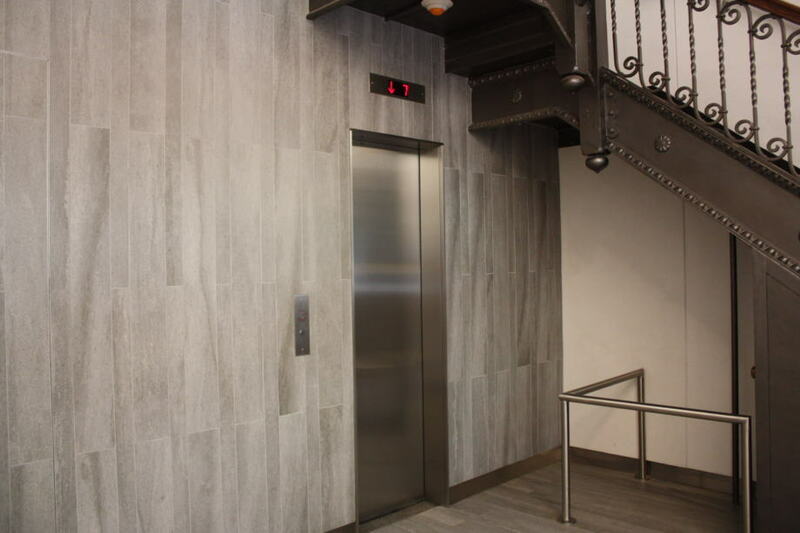 Throughout the project, Eastman Cooke successfully met New York City landmark (LPC) specifications for the 1905 building, OSHA and DOB requirements, scheduling deadlines, as well as extensive changes to the stairwell design. 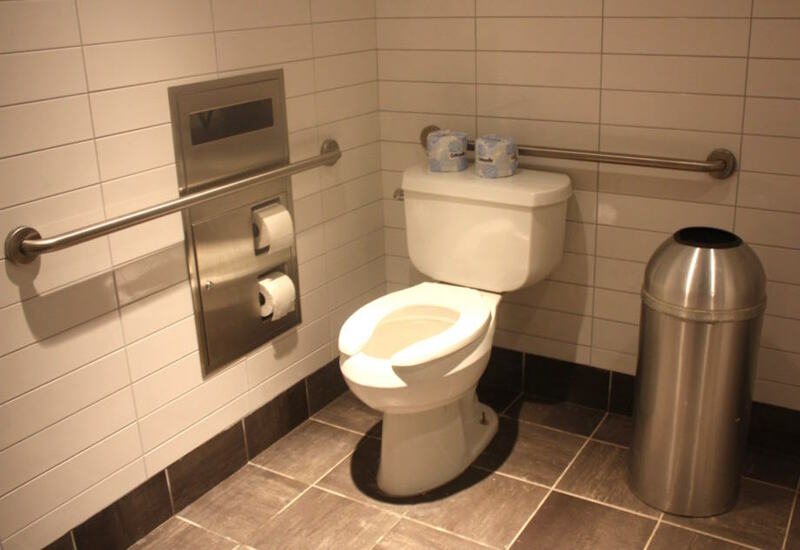 We also built two bathrooms at the site, made necessary piping adjustments, and worked with Con Edison to coordinate the removal of a large oil tank in the cellar. 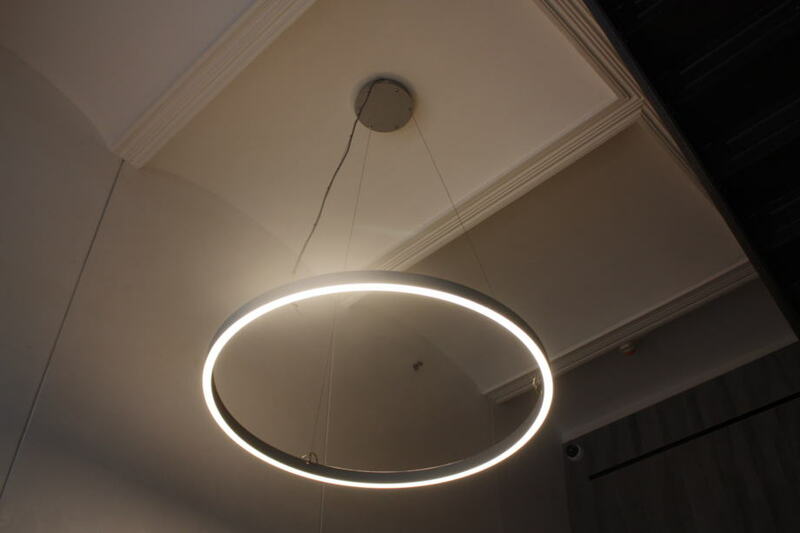 In addition, crews seamlessly coordinated complex logistics and deliveries during a simultaneous build-out by the tenant, helping to ensure a successful grand opening for a major Soho retailer. As Eastman Cooke further solidifies our relationship with our Greystone client, we have now been retained for pre-construction services for an upcoming second lobby renovation and new roofscape at 75 Spring Street.